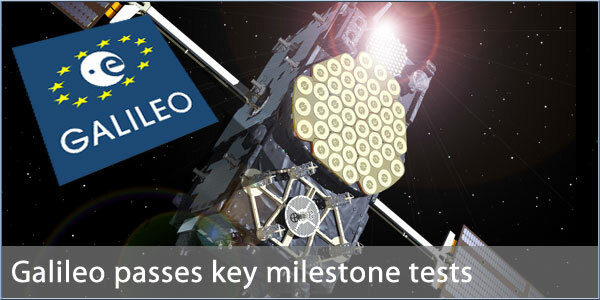 The first two in-orbit validation vehicles (IOV) in Europe's Galileo satellite navigation system have passed key tests. Spaceopal, the joint venture managing the mission confirmed that the encrypted signals that will provide Galileo's Public Regulated Service, have been received and validated, a key stage in the verification of the hardware design and services. The first two IOV's were launched in October 2011 joining the first two experimental vehicles, GIOVE-A and GIOVE-B. A further two IOV's are scheduled for launch this summer. The IOV's will form part of the complete system, consisting of 30 satellites and have a lifespan of 12 years. ESA plans to have a functioning satellite navigation network in operation by the end of 2014.